The installation division of L.M. van der Sluis Holding consists of various operating companies such as Loodsluis, Verwarmingssluis, Electrasluis, and advisory group BVT. 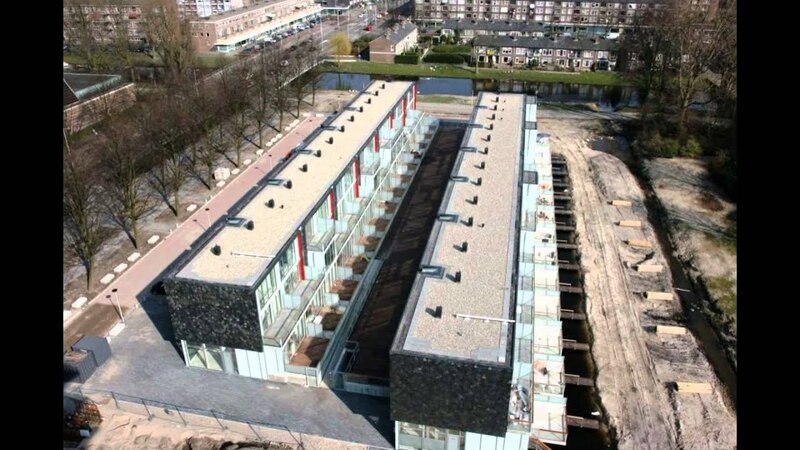 Van der Sluis Technische Bedrijven is a full-service installer that handles the entire process from consulting, design, and implementation to management, maintenance, and renovation. The Van der Sluis name guarantees a quality product that is delivered on time and within budget. L.M. van der Sluis founded his company on this philosophy in 1934, and this promise remains the foundation for all of the work the company performs. Although this tried-and-tested philosophy is as solid as a rock, the world and the construction world for that matter - has not stood still over the past 80 years. This is why Van der Sluis Technische Bedrijven continues to adapt to the changing times. They can respond quickly to market demand and utilize the latest technological developments. In addition, clients can count on motivated and well-trained personnel. They are professionals with a collective wealth of experience and expertise in house, but ones who are also aware of the latest rules and regulations and act accordingly. BIM seems to have outgrown the hype phase. The concept, with the aim of sharing knowledge and optimizing the total construction process from design to management, has become an established concept in the construction world. Which is not to say that the majority already use it. The BIM concept and the awareness of the benefits of an integrated approach existed early on at L.M. van der Sluis, even before the BIM concept was devised. In 2010, Autodesk Revit entered the picture of this full-service installer. As early as 1994 Loodsluis, a subsidiary of L.M. van der Sluis Holding, began looking for a 3D package they could use to provide their customers with visual advice for bathrooms, but one that could also serve as an information repository for the technical design calculations of the concept. Subsidiary Metaalsluis has been using software to share and exchange information since 1997. Given their pioneering work, it is no coincidence that Van der Sluis and Cadac Group have been running into each other on projects for many years and have developed an ever more synergistic relationship. There is also an increasing trend towards developing partnerships with other companies in the sector, such as installation consultants– all prime examples of BIM collaboration within the installation sector. René van der Sluis, General Manager, uses an interesting metaphor to describe the collaboration. 'We see that the intertwining of our processes and activities strengthens the collaboration.' While it should really come as no surprise, BIM is proving to provide financial and efficiency benefits in the installation sector, too. Moreover, a great deal remains to be achieved in many areas. 'The most obvious area is not even technical, it has more to do with culture and mentality,' says Van der Sluis. 'It's well known that Revit was written for the American market, which means that the software originally did not offer any Dutch content. We then have recourse to Cadac Flexline, which does provide an extensive Dutch library. You can attribute that shortcoming to the Revit producer, but you can also view it as a complacency that is prevalent in the culture of the Dutch construction sector. In our 'claim culture,' out of a fear for negative consequences, we often only work on our own portion of a project, which prevents any real exchange of information. Only when you dare to share all relevant knowledge at every level can there really be any use of BIM. Thanks to the BIM solutions Revit and TheModus we can now collaborate with contractors and commissioning parties better and smarter. Would you like to know what BIM can do for your organization?